Home News Asus Zenfone Global Launch Event Live Update: In India, price, specifications, date of sale, offer etc. Asus Zenfone Global Launch Event Live Update: In India, price, specifications, date of sale, offer etc. In the beginning of this year, after launching the flagship Zenfone 5Z and Affordable Zenfone Max Pro M1 in India, the Asus is ready to further its smartphone portfolio. The Taiwan Chief of Technology has been set at 1:30 this morning, from where two smartphones are expected to launch in the country. 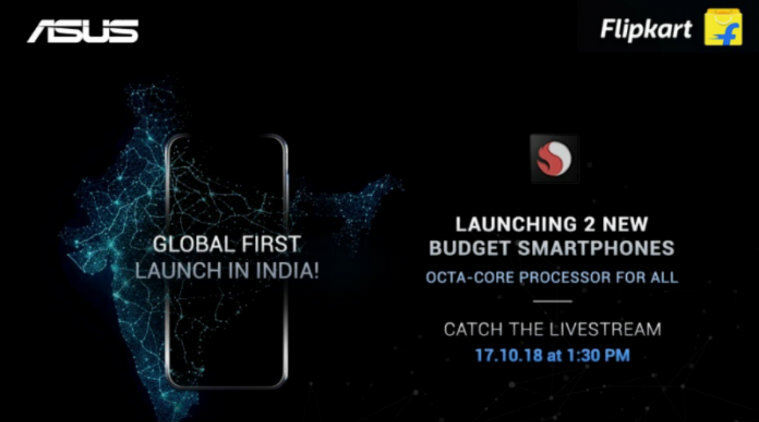 This is a global launch, which means that in the beginning, one of the smartphones in India is being introduced before making the way for other countries. Reports indicate that the smartphone will be called Zenfone Max M1 and Zenfone Lite L1. And these smartphones will compete for less than Rs. 10,000. Like its predecessor, Android is expected to run out of the box from the new smartphone of Asus, which is already expected to warm up the rivalry in the competitive low to medium range smartphone market. As before, this will be especially available through Flipkart. We will provide minute-by-minute updates from the Asus' Genfone launch event, so keep watching!